The 3 Pillar of a successful workspace: Intranet, Collaboration, and Business Apps. 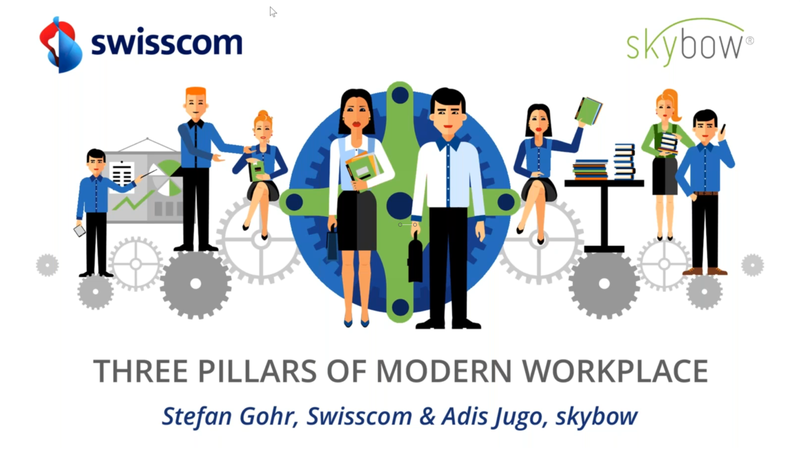 Adis Jugo (skybow Director of Product Technology and Microsoft MVP) and our friends at Swisscom talk about a key topic most people forget. The corporate intranet was supposed to be a platform that should bring all valuable and vital information for employees to one central digital spot. Many software vendors even took it upon themselves to offer “intranet in a box” solutions. But publishing is not enough. A true digital workplace involve all three of the above components, and a corporate platform should be about publishing, collaboration, and business apps in equal measure. There’s more than one way to make this happen, and Swisscom has seen plenty of efforts succeed and fail. They’ve definitely noticed that some ways work better than others, This webinar will focus on where to base these three pillars and how they could potentially work together. It may be easier than you think.